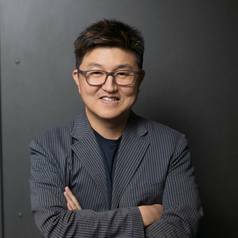 Jungwoo Ryoo is the head of the division of business and engineering and a professor of Information Sciences and Technology (IST) at the Pennsylvania State University-Altoona. Ryoo is also a graduate/affiliated faculty member of the college of IST at Penn State. He is a technical editor for the IEEE Communications Magazine and also working with IEEE and Software Engineering Institute (SEI) as a consultant. His research interests include information security and assurance, software engineering, and computer networking. He is the author of numerous academic articles and conducts extensive research in software security, network/cyber security, security management (particularly in the government and medical sector) and auditing (especially in cloud computing), software architectures, architecture description languages (ADLs), object-oriented software development, formal methods, and requirements engineering. Many of Ryoo's research projects have been funded by both state and federal government agencies. He also has substantial industry experience in architecting and implementing secure, high-performance software for large-scale network management systems. He received his Ph.D. in Computer Science from the University of Kansas in 2005.